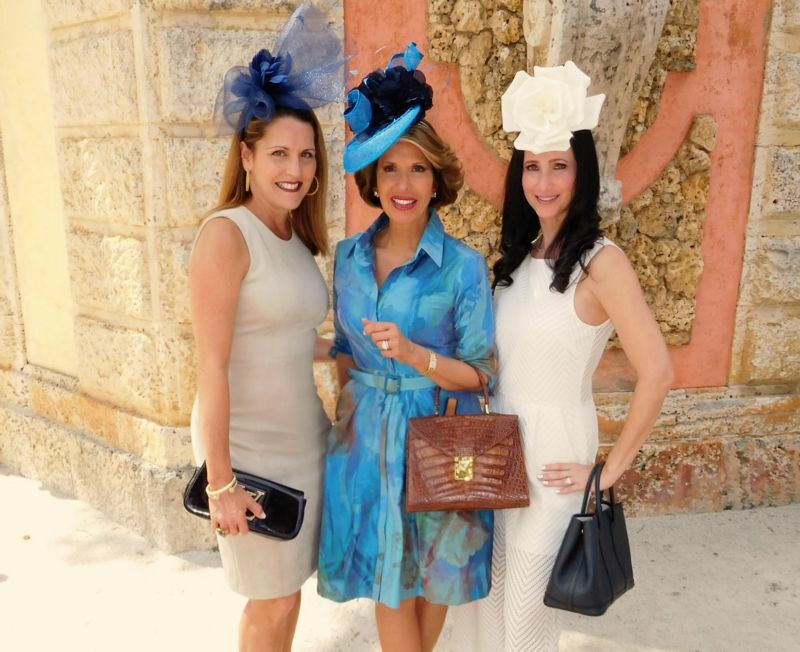 Home INSIDE SOCIETY: Fashion is Tops At Vizcaya Hat Luncheon! 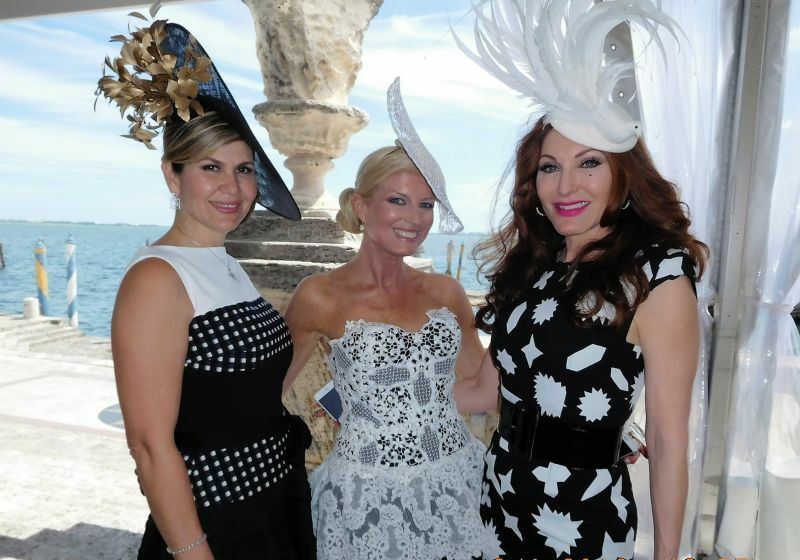 INSIDE SOCIETY: Fashion is Tops At Vizcaya Hat Luncheon! 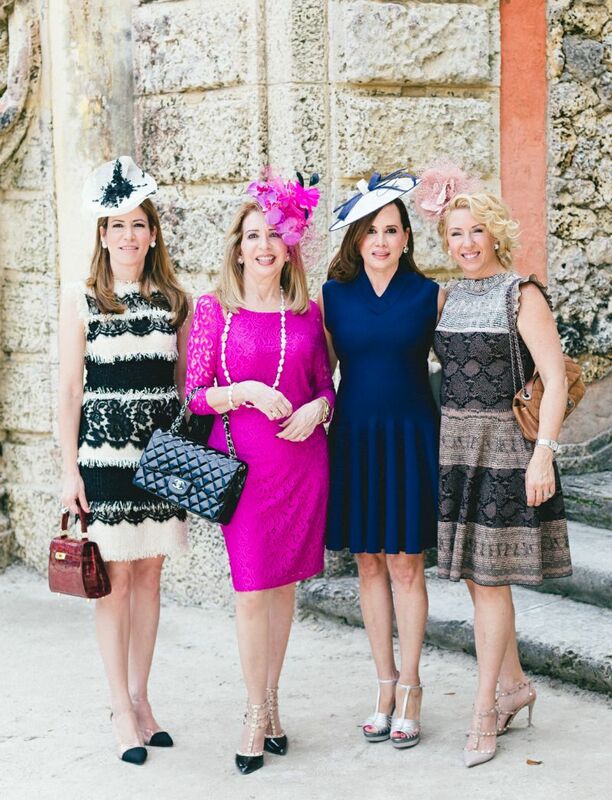 Over 300 of Miami society’s finest ladies who lunch attended Vizcaya Museum and Garden’s 8th Annual Preservation Luncheon, the ultimate lunch, to raise funds for ongoing conservation of Villa Vizcaya, the historic architectural treasure and its surrounding gardens. 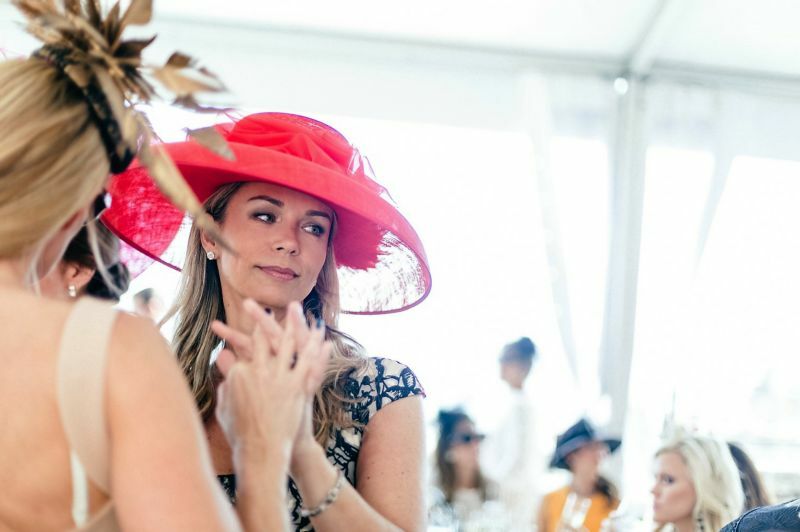 The event is known informally as the ‘hat luncheon’ because all who attend absolutely must wear spectacular hats or fascinators. 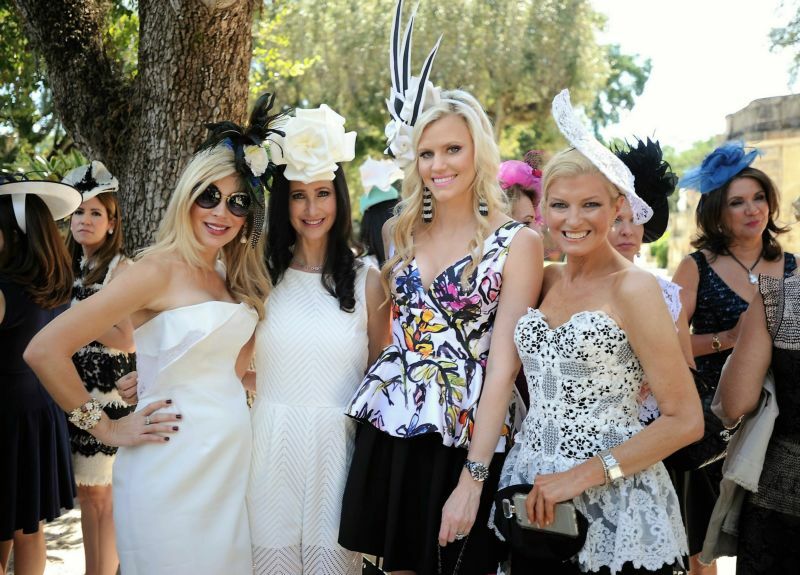 It’s more fashion extravaganza than luncheon. No, dear readers, not because there’s a formal fashion show, but because of the ladies who attend. 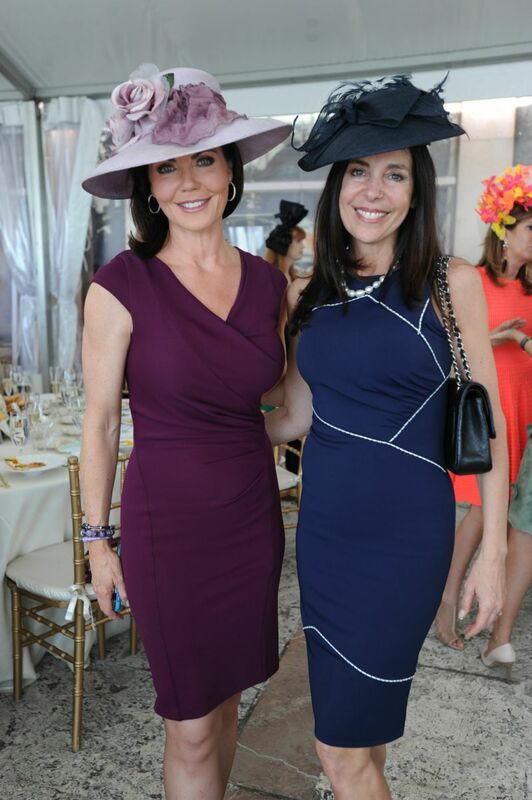 Miami society women are not playing when it comes to the thought put into what they wear, especially at this luncheon. This is serious stuff. 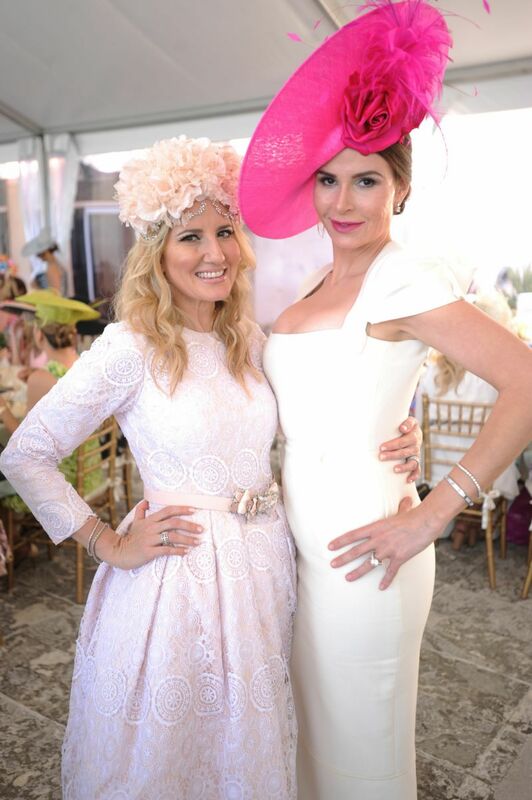 One outfit is more gorgeous than the next and there’s genuine delight when you spot an over-the-top hat! We saw many more fresh flowers, headbands and amazingly sculptural creations in brilliant colors with the requisite haute designer bag to match. 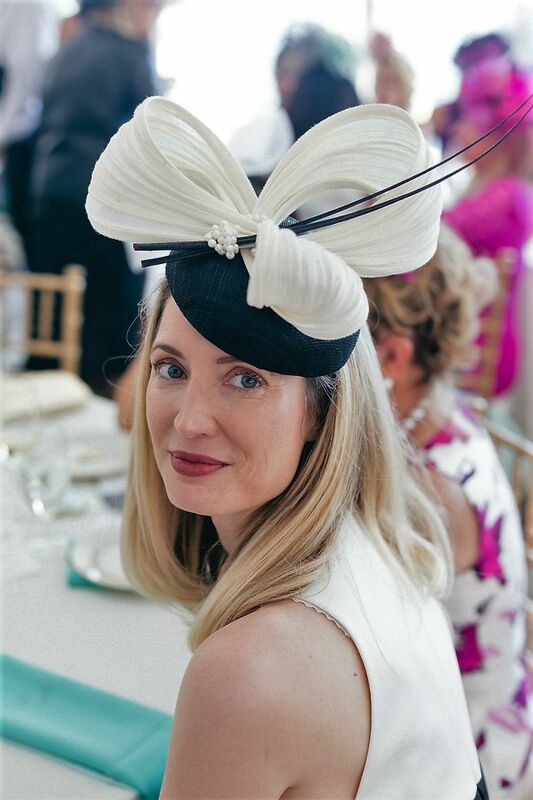 According to my informal poll, many of the most unique hats were purchased at Shapoh.com, the online hat company founded by Miamian, Suzy Buckley Woodward. 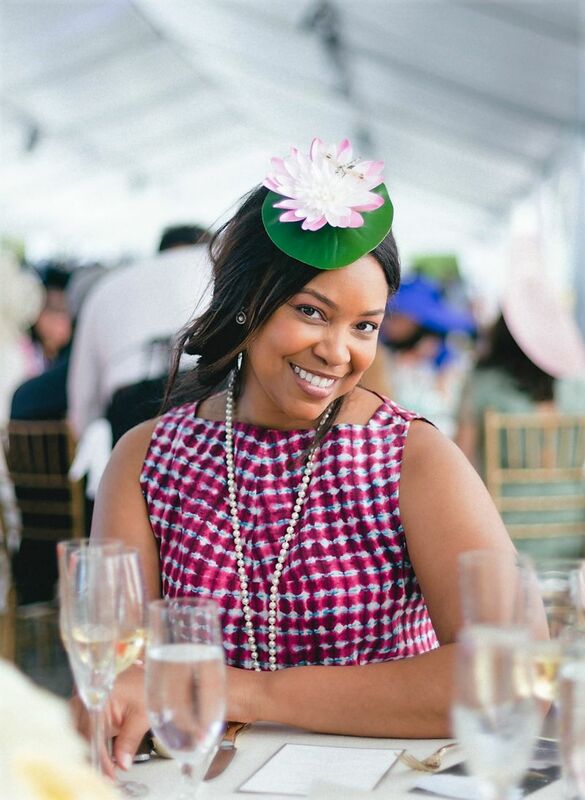 The idea came when she couldn’t find a fashionable-enough headpiece to wear to Vizcaya and the Kentucky Derby a few years ago. Suzy searches for designers from all over the world — from England, Ireland, Germany and even Thailand — and most of the pieces are one of a kind. 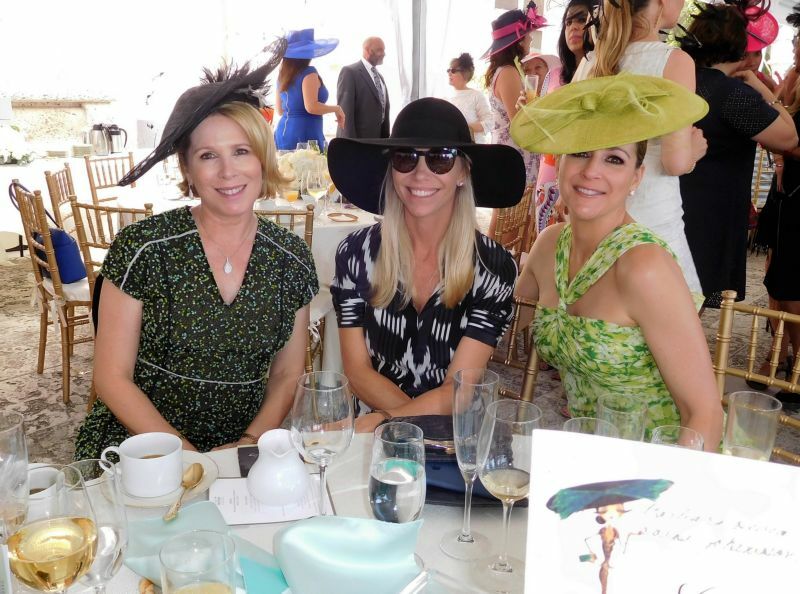 She also keeps track of who bought which hat and for what event so there are no awkward fashion moments! The luncheon always begins with beaucoup bubbly during a cocktail reception in one of the immaculately-landscaped areas of the estate. They keep us guessing, changing the location every year. Elegant models glided through the crowd, wearing the latest styles from fashion sponsor Neiman Marcus. The day’s festivities also included a silent auction featuring luxury items. 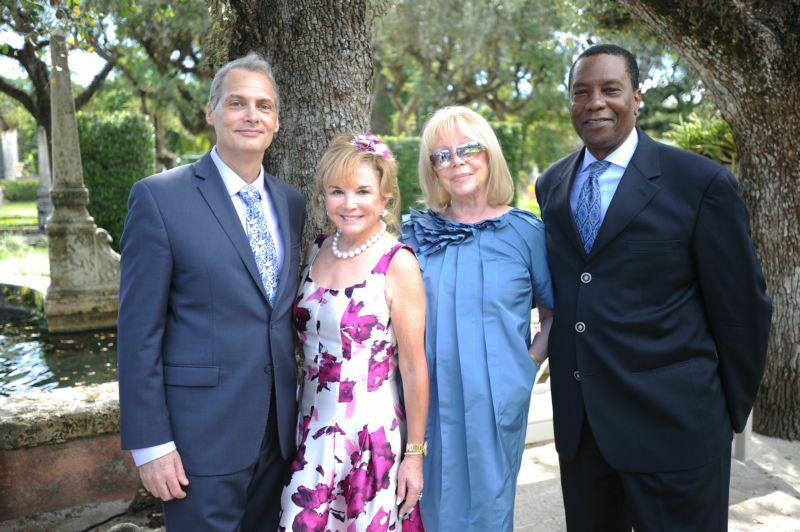 This al fresco luncheon is one of my faves because no other location can capture the natural beauty of this European-style villa on Biscayne Bay. 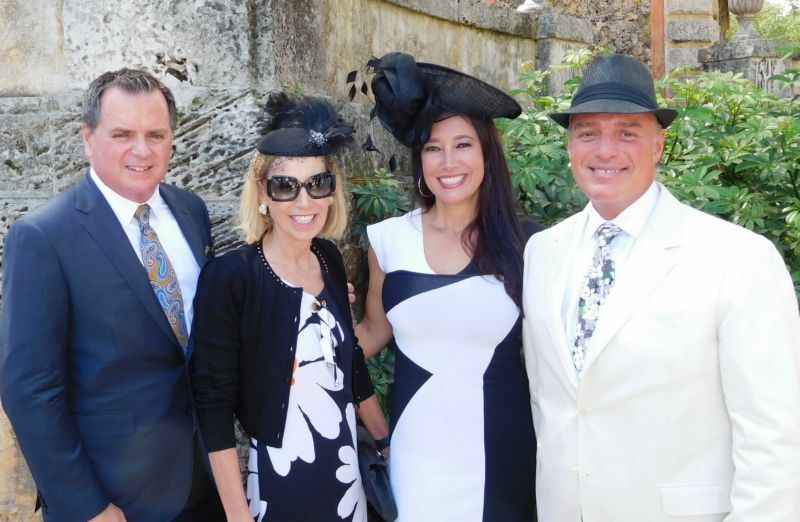 It takes you back in time to what it must have been to be a special guest of James Deering, the dashing, multi-millionaire industrialist who built Vizcaya in the early 1900s, specifically for entertaining his VIP guests from around the world. Sigh! Catering was by Thierry Isambert Culinary and Event Design with a delightful menu that included chilled watermelon gazpacho, local corvina en papillote and chocolate hazelnut mousse. Deering Wine provided Grenache Blanc during the meal. The hat contest, which was gone for a couple of years, was brought back to the delight of the attendees. 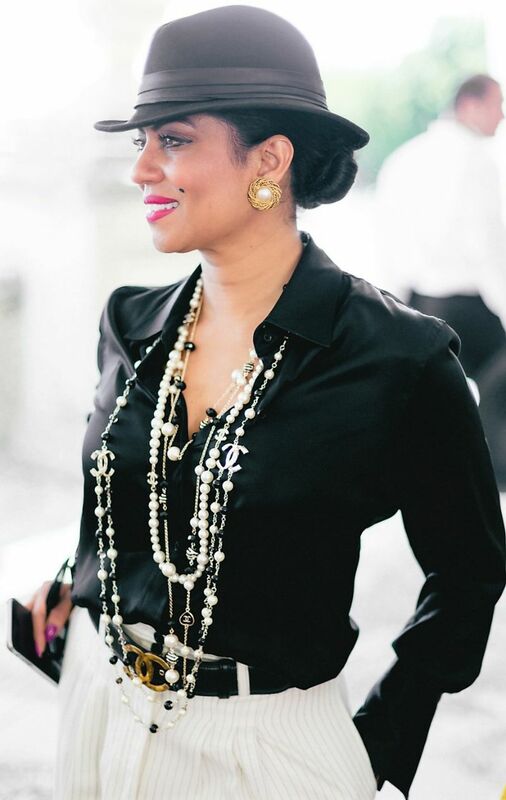 The very fashionable judges were Lesli Ann Brown, fashion illustrator and former director at W, Vogue and Harper’s Bazaar; Elysze Held, stylist, Style Out of the City; and Tara Solomon, founder, co-principal of TARA, Ink. Public Relations and Events. 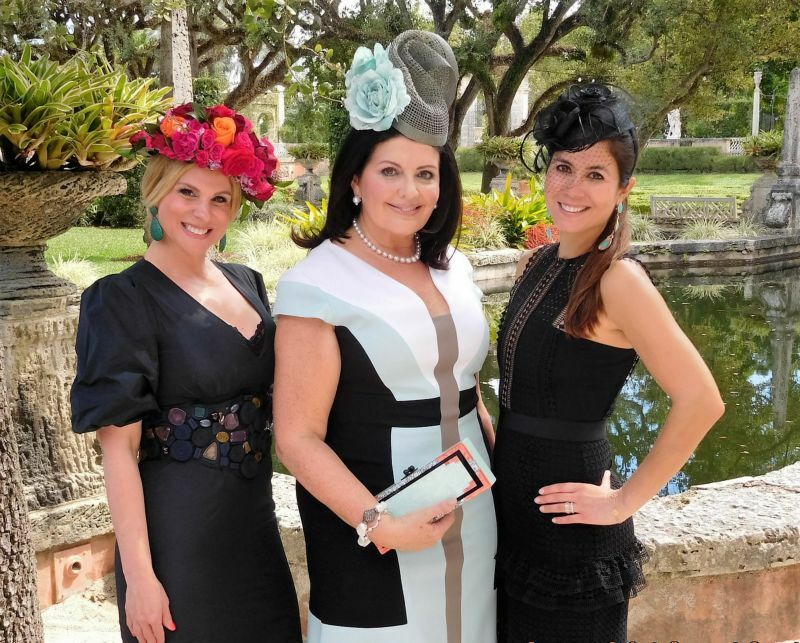 The judges selected three winners: Dana Shear for Best Hat; Marile Lopez for Most Elegant Ensemble, wearing an Ivonne de la Vega dress and floral crown by Maria Elena Headpieces; and Alexa Wolman for Most Avant Garde Look. 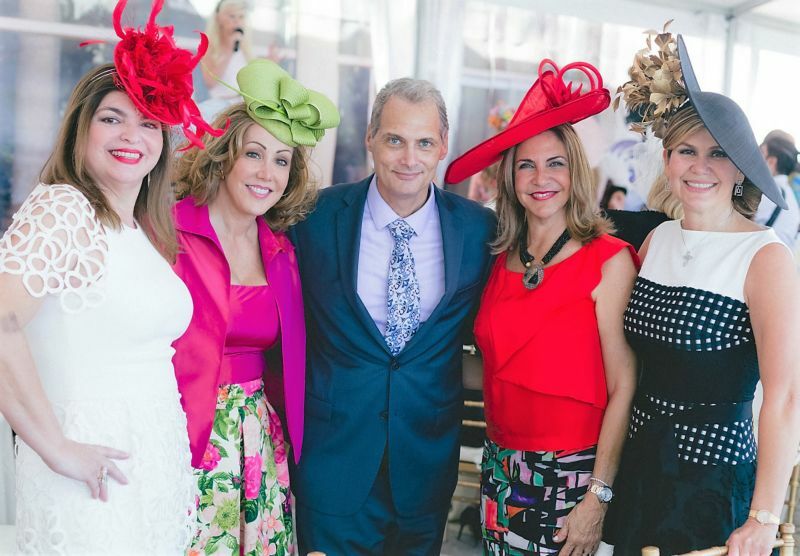 The 8th Annual Vizcaya Preservation Luncheon’s Honorary Chair was Swanee DiMare, Co-Chairs were Eilah Campbell-Beavers, Sonia Gibson, Linda Levy Goldberg, Barbara Hevia, Daysi Johansson, Nicole Lozano, Christy Martin and Laura C. Munilla. 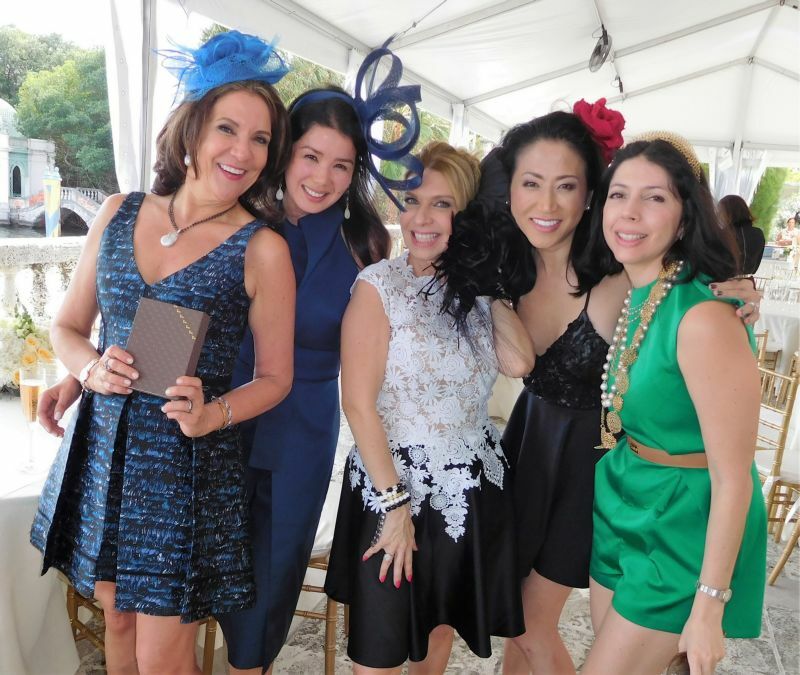 Committee members were Lesli Ann Brown, Suzy Buckley Woodward, Ana Hernandez, Carol Iacovelli, Marile Lopez, Bronwyn Miller, Marisa Toccin and Alexa Wolman.